The Kraken M Series is built to the exacting standards of the X Series, with the same quality of materials and attention to detail. It achieves a more aggressive price point by including just the essential features. Unlike the current Kraken X Series coolers, the new M22 does not include built-in fan control or liquid temperature monitoring. 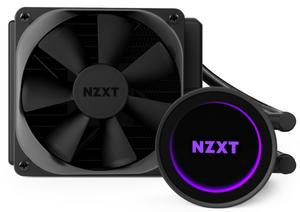 Instead, users can use the PWM fan headers on their motherboard, or from fan controllers like the NZXT GRID+ V3 or the Smart Device included in NZXT’s H700i, H400i or H200i cases. CAM can still provide CPU temperature and pump speed information, along with other system-level parametric data. *CAM software requires Microsoft Windows® 10 operating system.